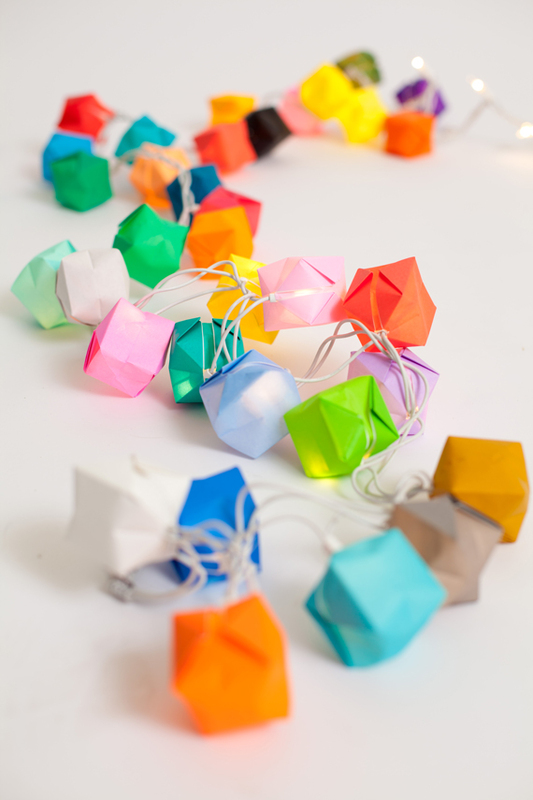 These origami fairy lights give the most festive vibe to any home or party space. We originally made them hang over the deck for our last party, but I loved the look so much I decided to bring them inside afterward. 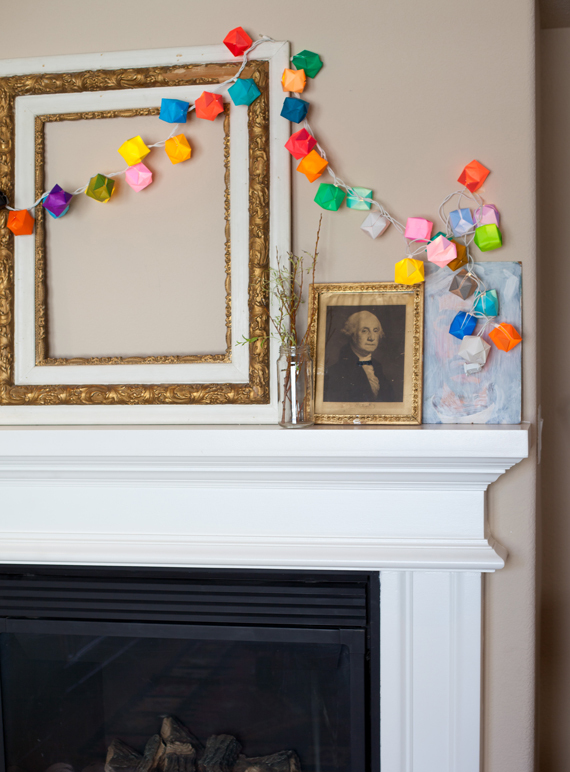 Adding simple details that make our home feel festive is one of my favorite ways to decorate. 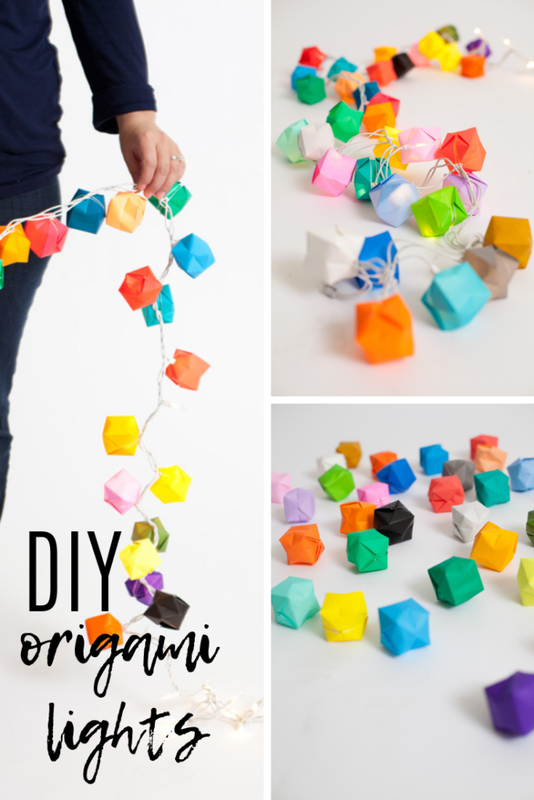 The DIY lights are simple to make with sheets of origami paper (sold at craft stores) and can be hung as garland on their own, or given as favors. 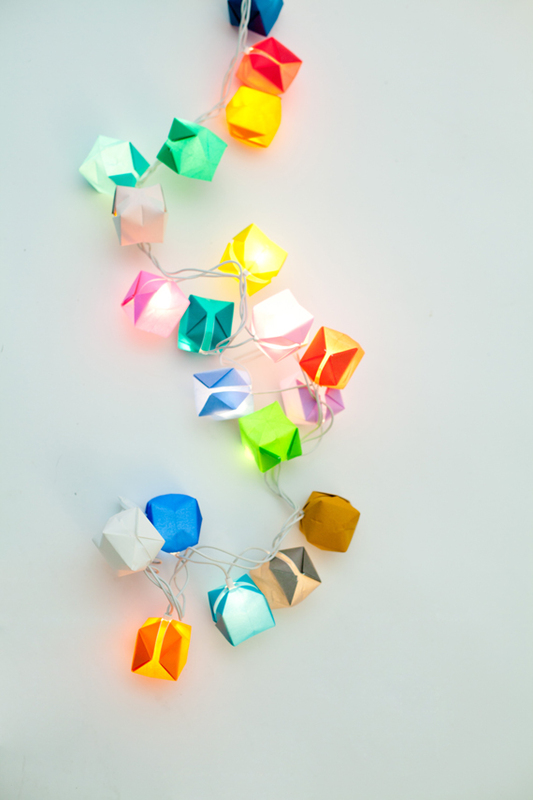 I love them the best when attached to a string of lights for an instant summer glow. 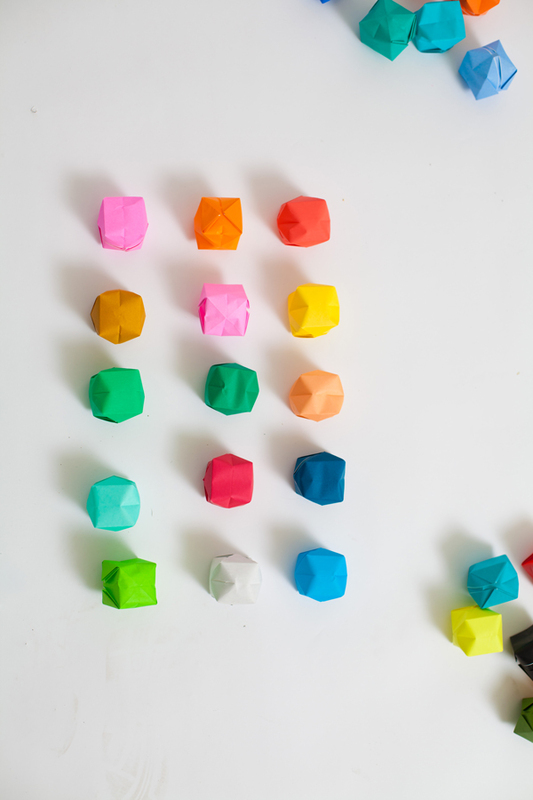 To make the origami fairy lights start with a simple origami fairy lights template (found here). 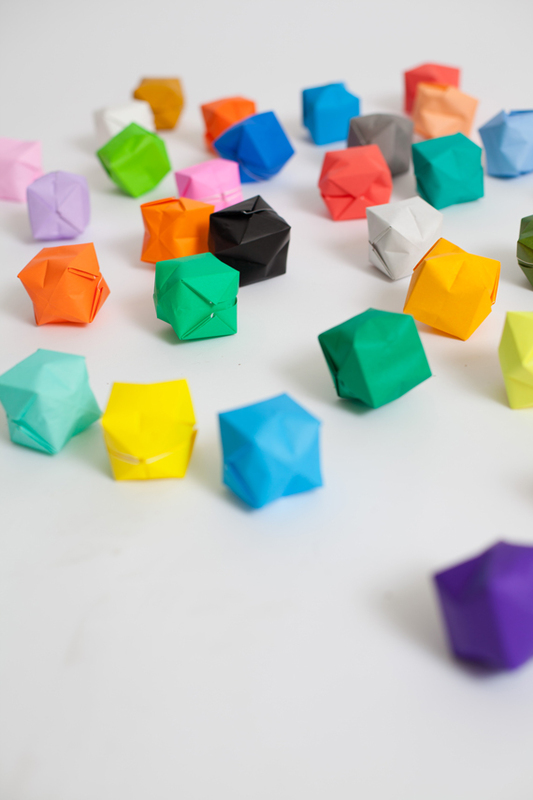 Once made, blow each of the boxes out to full width and use the small opening to attach the boxes onto a low weight light strand. They slip on really easily and stay nicely into place to give your space a feel that is festive and fun. 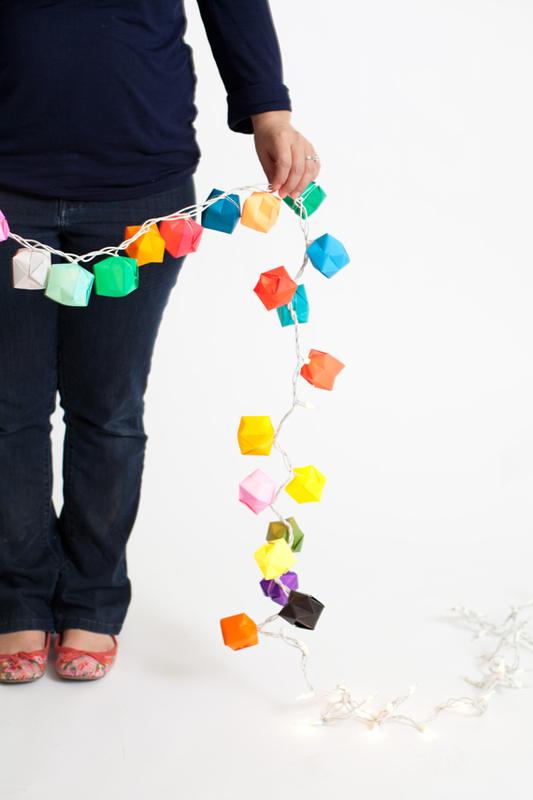 We love these colorful origami fairy lights, but here are a few more fun colorful lights! 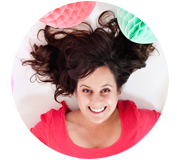 Photography was done in collaboration with Jocelyn Noel Photography. I love this idea! Happy, happy colors! Great job!! 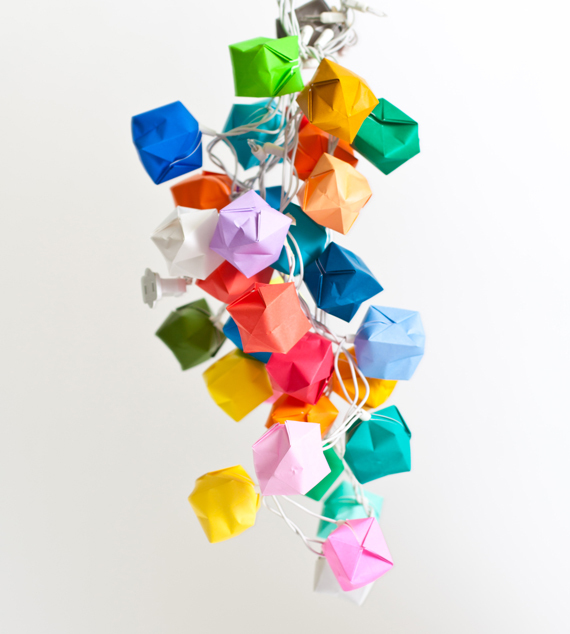 I love to do these galards, I just have to tried with lights! how do you make this ?! Will it cause a fire to start?? ?